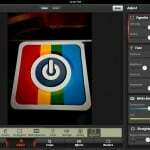 Is Camera+ For iPad A Must-Have For iPad Photographers? 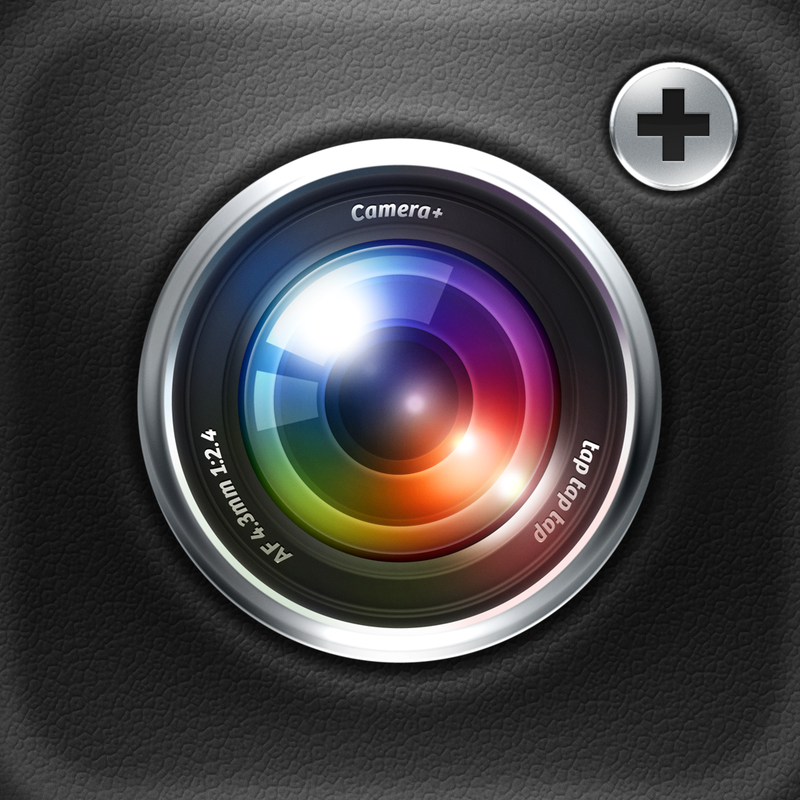 Camera+ for iPad ($0.99) by tap tap tap brings the best iPhone camera app to your iPad! I've been using Camera+ on my iPhone ever since it came out in 2010, and it's my app of choice for snapping new pictures and editing. For the most part, this is the same Camera+ that you know and love from the iPhone, but made for the large screen of the iPad. This means that you can have the trademark separate focus and exposure control, on-screen grid for composing the perfect photo, zoom slider, VolumeSnap features, as well as the stabilizer, timer, and burst capture modes. 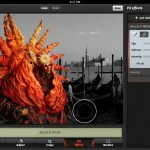 It’s definitely a great replacement for the default Camera.app on the iPad for iPad photographers. However, we all know that not many rely on their iPad as a full-time camera, so the real magic with this version is in the Lightbox with editing. 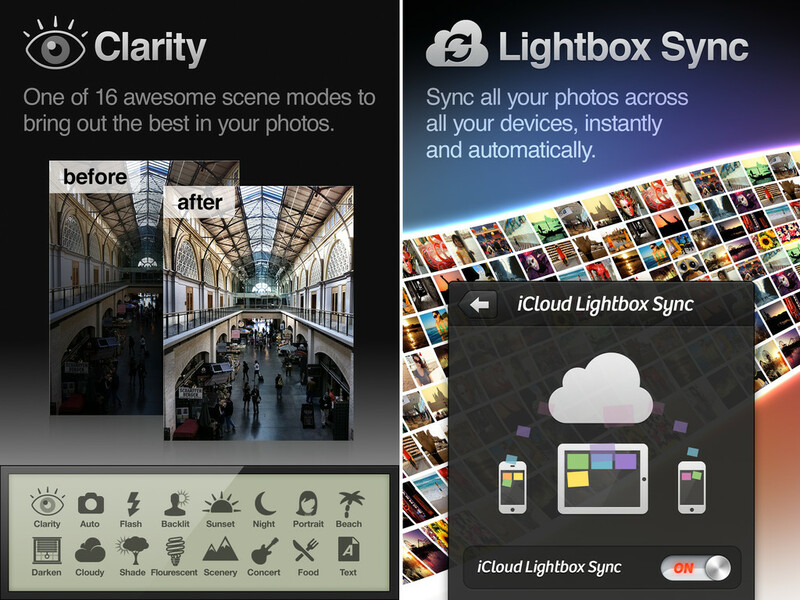 Both versions of Camera+ now feature iCloud Lightbox sync, so if you have the iPhone version and enable it from the menu, any images that are taken on your iPhone and end up in the Lightbox (or imported) will be synced and show up on the iPad version. I enabled this feature immediately and snapped a few photos with my iPhone 5. At first, the iPad wasn't getting them with the initial switch, but the next time I launched the app, everything was in its rightful place. 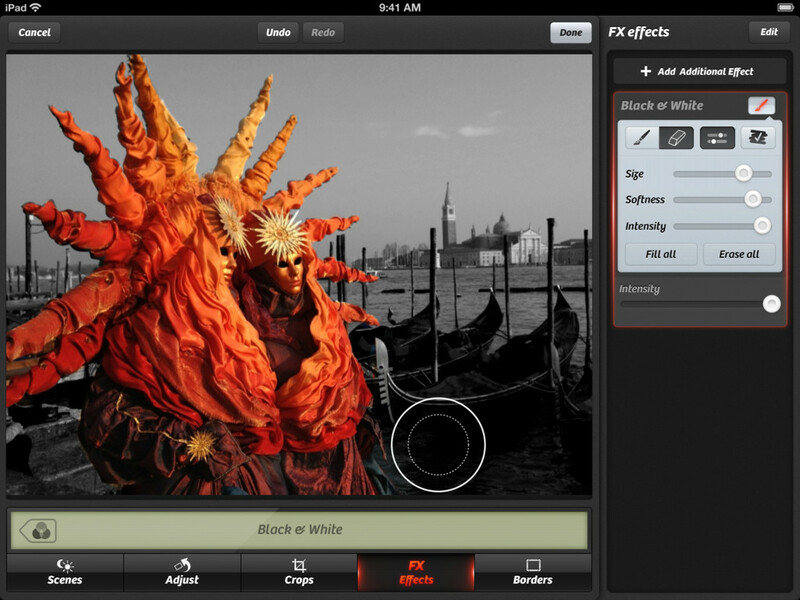 The images that I took with my phone showed up in the iPad's Lightbox, and vice versa, ready for editing. The iCloud syncing is invisible and just works. I give kudos to the tap tap tap team for making this possible, given some of the difficulties that may arise for developers. Thanks to more screen estate, I find it to be a better experience to edit my photos on the iPad. The Lightbox will also feature EXIF data on any selected photo, which is great to see at-a-glance. 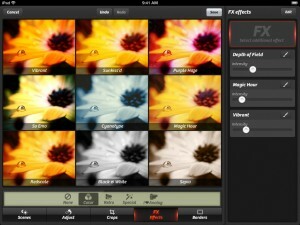 If the photo is edited already, Camera+ will display all of the various tweaks that were applied. 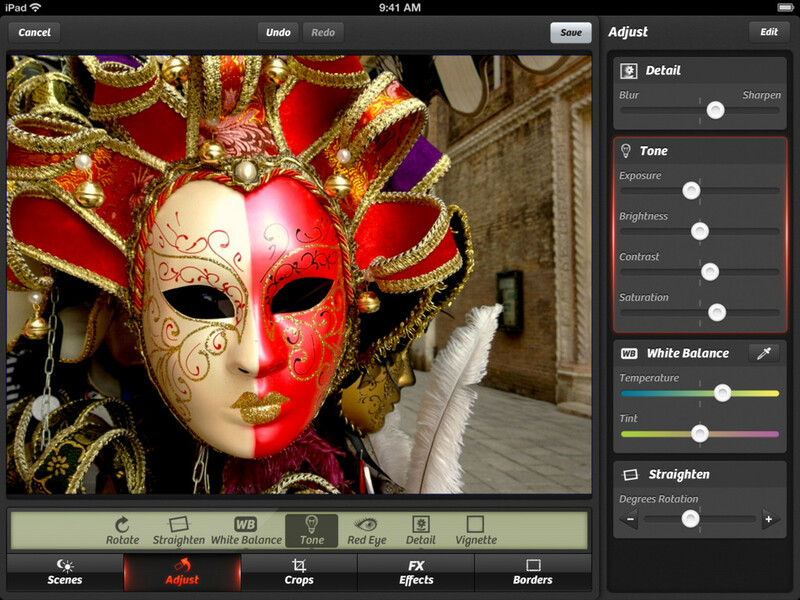 When going into Editing mode, you get the same five tools from before: Scenes, Adjust, Crops, Effects, and Borders. As you make each change in the Adjust section, you can see all tweaks in the sidebar. I love this new implementation, as it is easy to see my progress, and it’s only one tap away to fine-tune it. The Effects section finally allows for multiple layering of effects, which can’t be found in the iPhone version just yet. 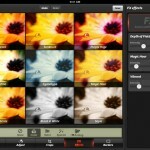 Once you find one effect, just tap on the “+ Add Additional Effect” to layer another filter on your photo, and adjust the intensity with the sliders. 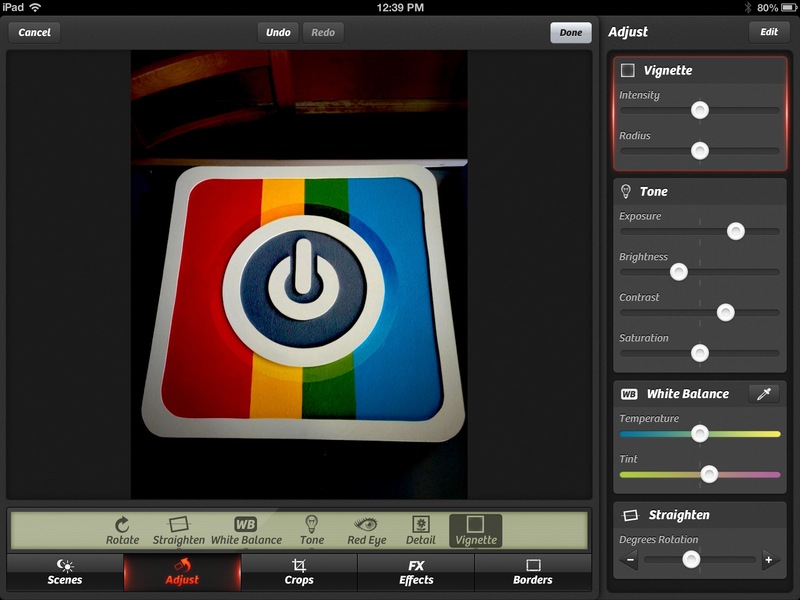 Tap on Edit to rearrange the order and delete unwanted effects. Mistakes happen, and you can now go back in your changes with the Undo and Redo buttons. 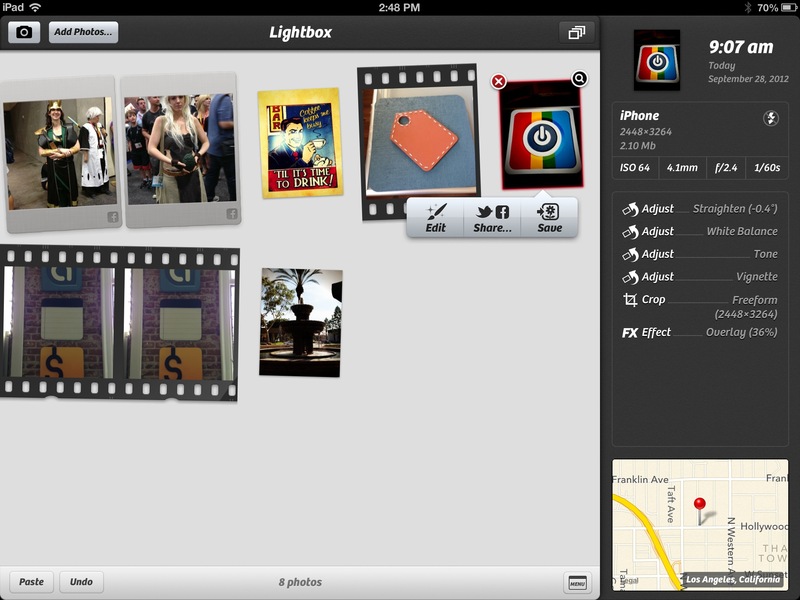 Another new feature is the ability to import photos from other sources than your Photo Library. 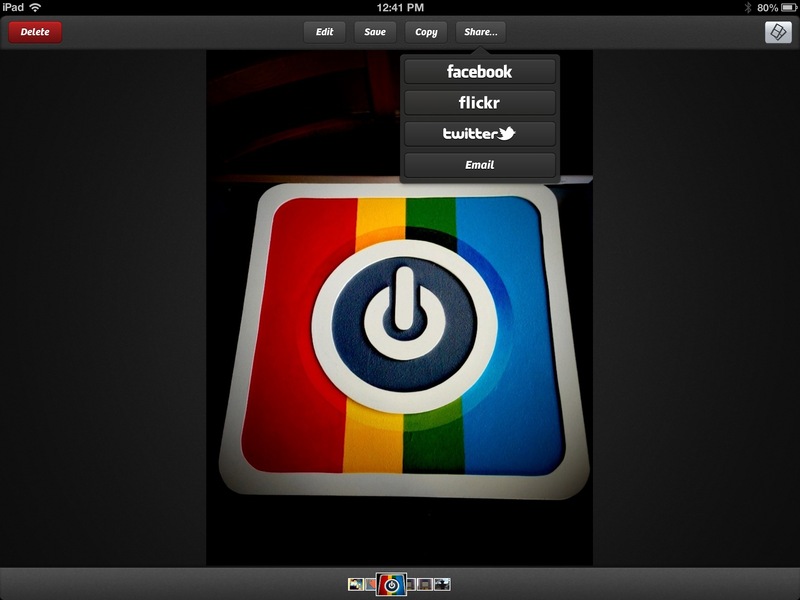 I noticed that you can add from photo streams, Facebook, and even Flickr. 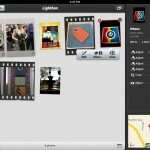 Importing from Flickr and Facebook on your iPad will also sync them to your iPhone Lightbox. 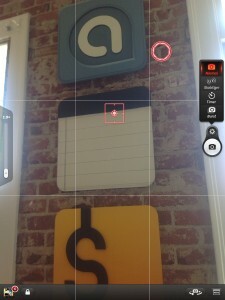 Camera+ has been one of my favorite apps on my iPhone, and I’m extremely pleased with the new iPad version. I won’t be using it so much to snap photos, but rather taking photos on my iPhone and editing them on my iPad. 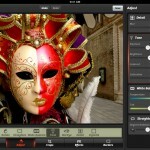 The iCloud sync works amazingly, more import sources are great, and the editing experience is much improved. 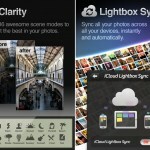 The only negative thing about the app is the fact that it may “downgrade” larger images. 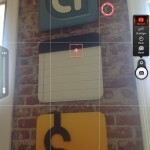 As noted in one App Store review, the maximum output of saved images from Camera+ for iPad seems to be 8 megapixels. I’m not sure if this is the way it was designed or just an oversight, but hopefully it can be corrected in the future. Regardless, if you have been wanting Camera+ for your iPad, then grab it now at $0.99 for a limited time to celebrate this release. 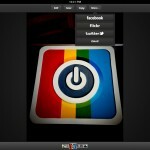 It isn't a universal app, but I believe that the guys behind this app deserve another dollar for their fantastic work.